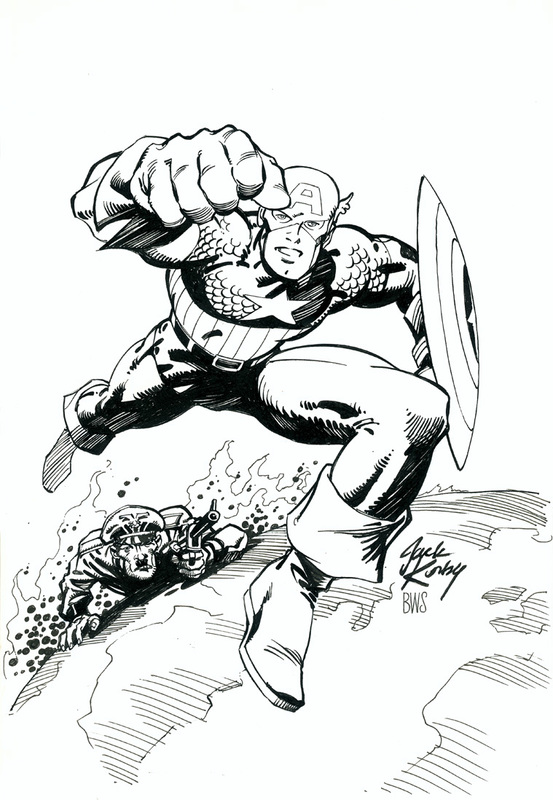 of a classic Captain America by Jack Kirby. Joe Sinnott and Frank Giacoia. 11″ x 17″ bristol cover stock.